Boomer Tennis . Join the FUN! Home » Ministries » Boomer » Boomer Tennis . Join the FUN! SPRING has sprung – spring in Texas is a great time to start (or continue) to play tennis. 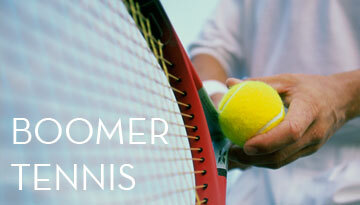 And, the good news is – our Boomer Tennis program continues year ’round! So, blow the dust off your tennis racket and come meet this FUN group @ 7:00 pm on Tuesday nights at the Arlington Tennis Club. Be sure to see Dan West or David Reed to get all the information… come meet other FBCA Boomers (folks born between 1946 and 1964) and enjoy an evening of coed tennis. Click here to contact Dan West for more information. Boomer Tennis is an outdoor activity and may be cancelled due to inclement weather. Including temperatures too hot or too cold for safe play.